What Can I Eat to Help Fight Infection? "Starve a cold, feed a fever." These oft-heard words of wisdom may not be so wise. Scientific research shows that some foods contain compounds that enhance immune system function and make humans better able to fight infection. These compounds may not prevent infections from developing, but they help activate infection-fighting white blood cells and trigger increased production of cells that kill foreign invaders. Vitamin C helps fight infection by increasing the production of white blood cells, which defend the body against bacteria and viruses. Vitamin C also increases the production of interferon, a substance that coats the surfaces of cells to prevent viruses from entering. The Food and Nutrition Board of the Institute of Medicine recommends a daily intake of 75 mg for men and 60 mg for women. Just one navel orange contains 82.7 mg of vitamin C, more than 100 percent of the DRI. Meat and shellfish contain zinc, a mineral that affects immune system function. Zinc deficiency impairs the function of infection-fighting monocytes, reduces the toxicity of natural “killer cells” and inhibits the immune response designed to engulf foreign particles. Eating meat and shellfish may help replenish zinc stores and ward off infection. The dietary reference intake for zinc is 9.4 mg per day for adult men and 6.8 mg per day for adult women. One serving of battered oysters -- six pieces -- has 15.64 mg of zinc. Some fish, seeds and nuts contain selenium, a mineral that enhances the function of killer cells in the immune system. Tuna, sunflower seeds, red snapper and Brazil nuts contain high amounts of this mineral. One 3-oz. serving of bluefin tuna, for example, contains 39.8 mcg of selenium. Adult men and women need 45 mcg of selenium per day, as recommended by the Food and Nutrition Board of the Institute of Medicine. 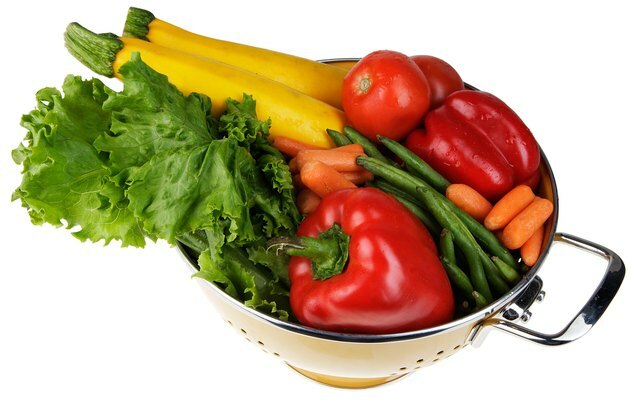 Colorful vegetables, such as red peppers, carrots, squash, spinach and sweet potatoes, contain carotenoids. These compounds enhance immune system function, making you better able to fight infection. Carotenoids, particularly beta-carotene, may also increase the number of T-helper lymphocytes in the body. These cells activate and coordinate the response of macrophages and cytotoxic T-cells, which fight infectious organisms. Can Foods Raise White T Cells? Will Fresh Garlic Help Heal a Urinary Tract Infection?